Wire, cable and cable assemblies are at the "perceived" low end of the supply chain. They are the commodity products of the electronics industry. This perception has created a cottage industry of cable assembly companies, with over 800 companies in North America, a $16 billion market and a handful of large companies with local presence. Within this large market, there are only a few $100 million companies. As a result, cable assembly products are difficult for original equipment manufacturers (OEMs) or contract manufacturers (CMs) to manage. This deficiency stems from the fact that OEMs and CMs do not manage these commodities like other similar subcontract commodities. Core components, such as semiconductors and technology products, are managed by commodity teams that closely evaluate the supply chain. More often than not, cable assembly product orders go to the lowest bidder with the shortest lead-time. The focus for interconnect cable assembly suppliers must be on their core manufacturing competencies, material supply chain and management depth. There needs to be a good fit from "womb to tomb." As interconnects become smaller and higher performance, there will be an increasing need for strategic partnerships. Within the electronics industry, discrete wire and custom round cable assemblies are the primary cable assembly types. Material costs for cable assemblies are typically 50 percent of the selling price of the product, and labor costs and gross margins are 25 percent. With this in mind, the primary focus to achieve cost savings and predictable delivery performance should be on material management; labor becomes secondary. Although lower cost Asian cable assembly suppliers satisfy a segment of the electronics industry in North America, the globalization of the industry has narrowed the price advantage of offshore manufacturing. The North American Free Trade Agreement has helped narrow the labor cost advantage. Streamlined U.S. companies have been able to reduce overhead rates. This means more competitive domestic cable assembly suppliers and a reduction in the internal costs needed to manage the commodities because the hidden administrative burdens of working with Asian sources are removed. More and more, large companies are becoming players in this industry. 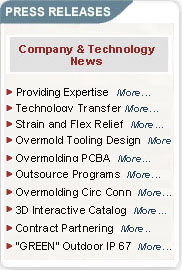 Growing numbers of cable assembly specialists, such as Volex Inc. (Quincy, Mass.) and The JPM Co. (Lewisburg, Pa.), connector companies, such as Molex Inc. and FCI/Berg, and distribution companies, such as Arrow Electronics Inc. (Melville, N.Y.), are expanding into the cable assembly market. This is good for the industry as it helps to provide more structure to the commodity chain. As OEMs continue to outsource their products to CMs and cable assembly companies, the need for cable assembly partners will continue to expand exponentially. So, what should you look for in a cable assembly provider? Look for a supplier with good tooling and termination capabilities because they are essential in this product area. Good cables start and end with good crimps and terminations. 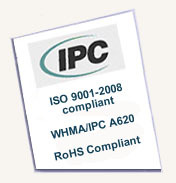 Good crimps are not inspected-in, therefore, the manufacturing and quality assurance process controls must be solid. Crimp heights must be measured and pull tests completed. In-process controls need to be audited and monitored. If you have a broad product range, and an extensive backroom of termination tooling, this prevents you from having to pay for new application tooling amortized into the price for the assemblies. The result will be a corresponding increase in quality because correct tooling will be used. The Achilles` heel in this industry is good crimps; they start with properly applied tooling and consistent manufacturing process controls. For a focused product, such as custom, molded interconnects with embedded electronics or high-volume parts, choose a supplier based on technical capability first, and material management and supply chain capabilities second. In-house tooling and design combined with creative talent is a must. The key ingredient is the company`s technical skill in assimilating the tooling and processes necessary to produce the parts within the volume amount and timeline contracted. Custom products continually evolve and the need for good problem-solving and troubleshooting skills is important. Although price is often a determining factor, make sure to look beyond the obvious. Vendor selection should be based on the level of support you plan to provide. Every company is different, but the trends certainly support more turnkey and vertical integration in the supply chain. If you are kitting the materials and the vendor is only supplying the labor, the focus should be on technical and manufacturing processes. Can the supplier produce good parts and keep material scrap to a minimum? Does it have the ability to manage the materials internally? If the supplier is providing turnkey solutions, make sure it has the necessary material management and manufacturing systems, complete with a formal engineering change orders system, in place so the correct materials are there when it is time to build your parts. Then, and only then, do you need to investigate if the company knows how to build them. Remember that materials are the main factor. So many times, the issues associated with quality, price competitiveness and on-time delivery are associated with not having the materials delivered on time to produce the parts on time. Understand potential suppliers from the inside out. Insist on source inspection and evaluation of their business systems. How do they manage materials and how do they deal with corrective actions? Do they know how to problem-solve? Can they respond quickly to change? If you do these things, you will be doing better than most. STEVE BURK is president, ISC Engineering LLC, 1730 Evergreen St., Duarte, CA 91010; (626) 357-8112; Fax: (626) 357-6778; E-mail: sburk@iscengineering.com; Web site: iscengineering.com.